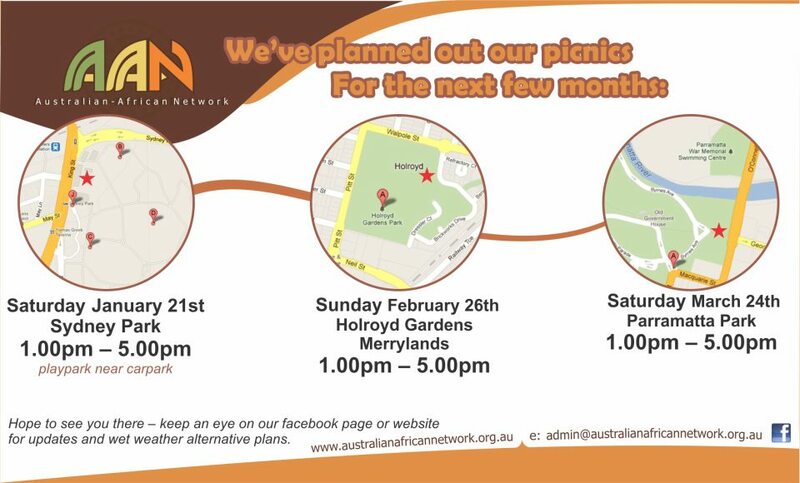 The next AAN picnic will be 2.00pm – 4.30pm Saturday 26 June at Central Gardens Reserve Merrylands, Cnr Merrylands Rd & Cumberland Highway. Look out for the AAN stall at the African festival this weekend. 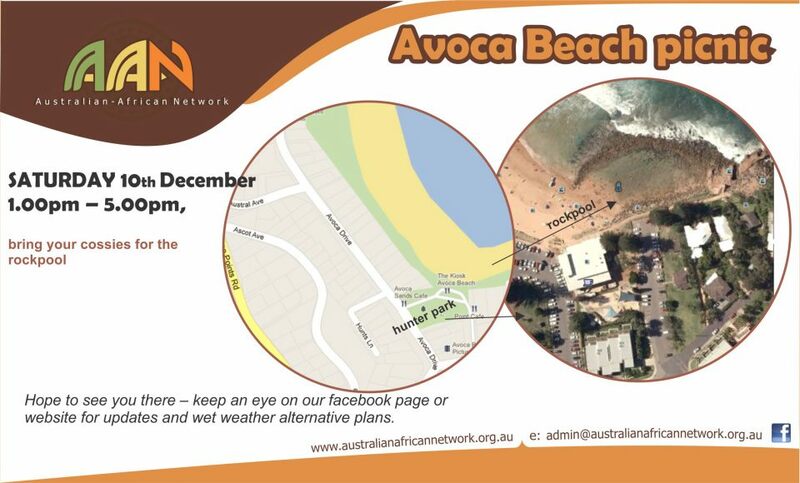 We’ll also be picnicking there – please join us. African cultures festival – 10 April at Auburn Park, corner of Hutchinson and Macquarie Roads from 11.00am to 4.00pm. There will be stalls, workshops, community information, music and performances to celebrate African Cultures. Activities for children include face painting, drumming, jumping castles, sports and henna painting. We had a great time there last year – hope to see you there.